Marijuana sales and consumption became legal across Canada overnight. But in the U.S., nothing changed – including rules at its northern borders. 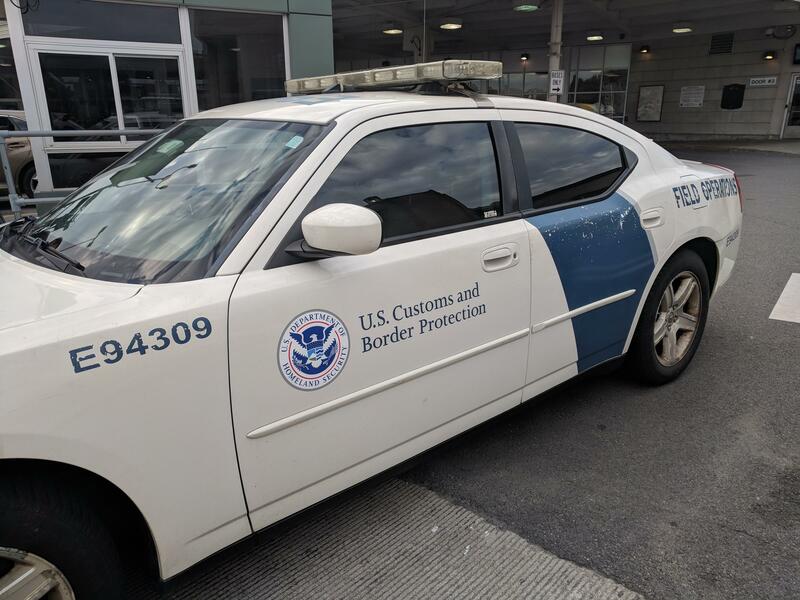 “Despite Canada’s legalization of marijuana, our laws have not changed,” was the bottom line from Richard Roberts, Assistant Director of Border Security at U.S. Customs and Border Protection’s Buffalo field office. Inside the CBP’s Peace Bridge station, Roberts told reporters U.S. federal law will continue to be enforced as travelers enter from Canada. CBP is asking travelers not to attempt entry into the U.S. with marijuana in any form, including edibles and medical marijuana prescribed by a medical provider. Regardless of whether they’re headed to a state that has legalized medical or recreational marijuana, those caught with the drug will be given a minimum administrative fine, and could face penalties from state and federal charges. CBP officers will assess every traveler’s admissibility on a case-by-case basis. 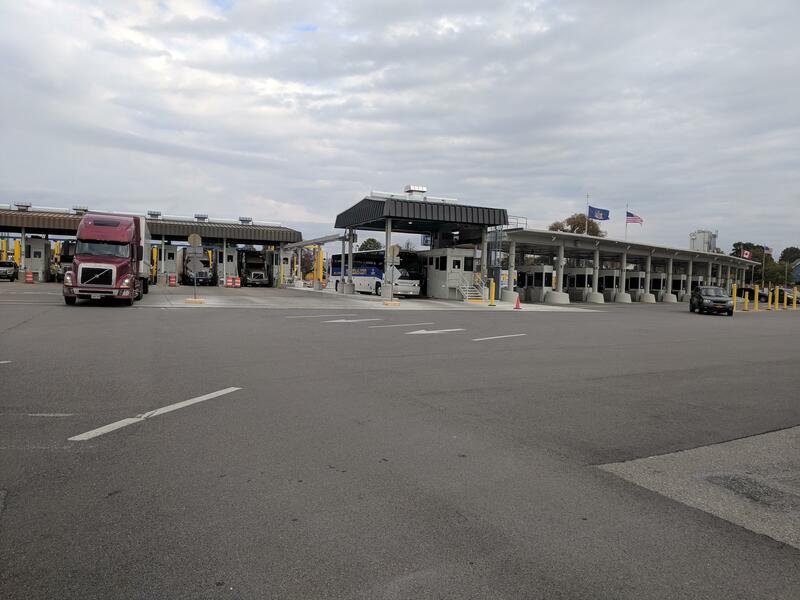 Chief CBP Officer and Public Affairs Liaison Aaron Bowker said travel times and the number of searches at locations like the Peace Bridge – one of the north’s busiest border crossings – are not expected to increase. But use of marijuana by U.S. citizens in Canada will not be the concern of the CBP unless it continues across the border in some way. Driving under the influence of marijuana will continue be an issue. The penalty has not changed, and it will be enforced using standard field sobriety tests from the Buffalo Police. “We want to make sure our roadways are safe and that everyone operating a motor vehicle is doing so with their full faculties about them,” said Buffalo Police Deputy Commissioner Joseph Gramaglia. Cars, trucks, and SUVs continue through CBP inspection stations at the Peace Bridge on the first day of marijuana legalization across Canada. CBP officials say there have been no issues at the Peace Bridge crossing since Canada’s laws changed at midnight. There will also be no difference in how CBP officers are trained or what questions they ask. The usual “What’s your citizenship?” and “Do you have anything to declare while crossing the border?” remain the standard. While cars, SUVs, and tractor-trailers rumbled by on Wednesday morning, Canadians travelling into the U.S. reported as much. “No big deal. Same as always,” said Hamilton, Ontario resident Ernie Schoenholz as he left the CBP inspection booths on his motorcycle. Schoenholz wondered if there would be questions about marijuana, but said CBP officers didn’t even ask. “They had the dogs sniffing around though,” Schoenholz observed, but noted it’s nothing new. Hilary Palombo works in the U.S. and uses the Nexus program, which expedites her travel with pre-screening. She wouldn’t normally get questioned, nor did she today. But, she had noticed a slight change. “They have had no cannabis signs at the border for the last couple of days, which is great – giving people warning. It’s not okay over here yet,” said Palombo. Starting Wednesday, the sale of recreational marijuana begins in Canada following a law passed over the summer. The law says anyone in Canada over the age of 18 is allowed to possess marijuana, provided it's less than 30 grams — just over an ounce. 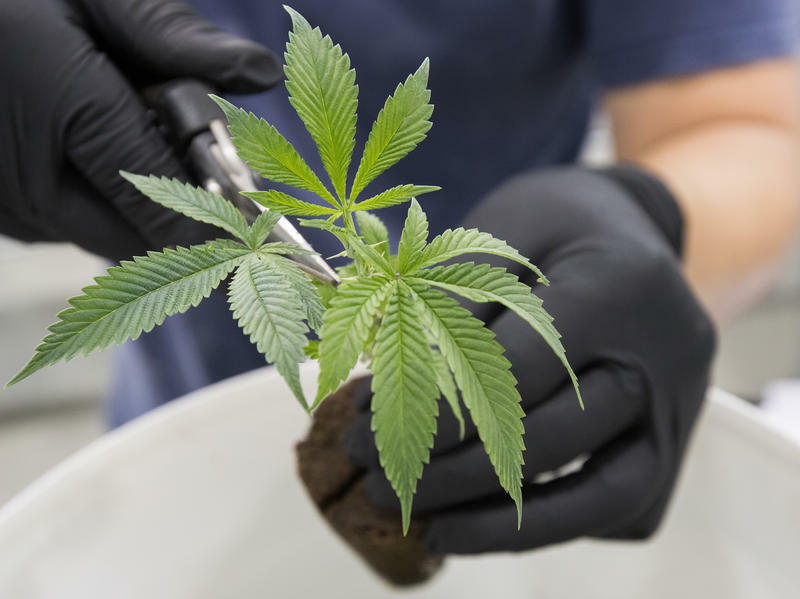 Canadians can also grow up to four marijuana plants in their home and buy from a provincially regulated retailer. Politicians and police are saying Canada is all set to open the cannabis floodgates Wednesday as recreational pot goes legal. Here is what you need to know. The Ontario government has unveiled details of where residents can smoke recreational cannabis when it becomes legal in mid-October. The rules are even less strict than proposed by the previous Liberal government. Marijuana advocates say New York lawmakers should legalize pot for adults, make it affordable and let people grow their own.